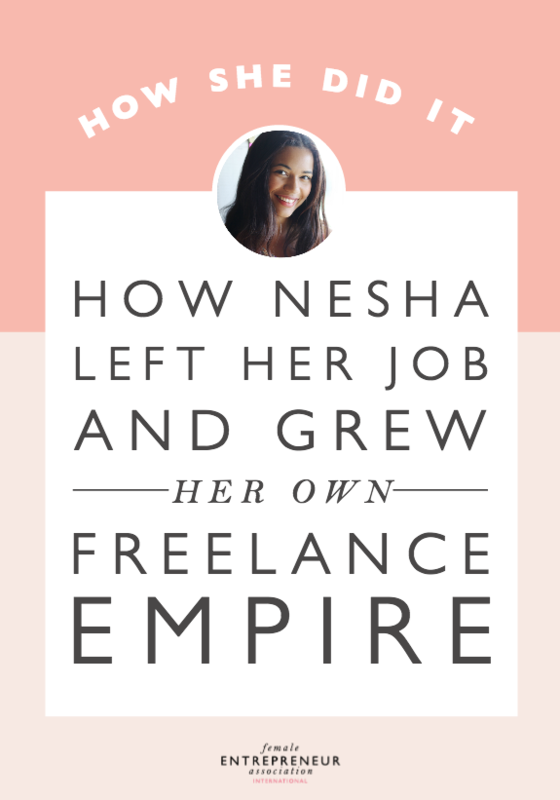 Nesha’s business has evolved dramatically since she started it five years ago. She grew her design business to the point where she no longer charged £50 for a a web design, she charged £4000. Then, she decided to take on less design work and focus more on teaching other designers. 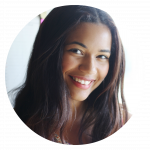 Nowadays, she creates courses and ebooks that have helped over 2000 freelance designers to streamline their businesses, find more clients, and get booked out! I started my business when I was working as a shop assistant. I worked long, gruelling days on my feet all day, surrounded by people who weren’t working there because it was their passion but because they had no other option. I had a passion for design and a geeky love of numbers, so the idea of starting a freelance web design business seemed like a beautiful, exciting challenge to embark on! As much as I hated my dead-end day job in the shop, it paid my bills. I knew I couldn’t quit until I’d proven to myself that I could make a decent living from my passion, so I decided to test the waters of the freelance world! I sent tweets out all day about a special offer I’d created on blog design. It was something crazy-cheap like £50 for a blog design. I didn’t know how much to charge for my designs back then, but I knew I had to start somewhere! Since I only had a social media following and a vintage fashion blog, not a design portfolio, I didn’t think I’d book many clients. But boy was I surprised when I booked my first five clients! £250 wasn’t an awful lot for five blog designs, but it was the start of a special journey into entrepreneurship for me. If you’d have told me back then that I’d start making £4000+ from my designs in four years, I’d have laughed in your face! But that small beginning was my first step on this crazy business adventure, and I’m so glad I took it. 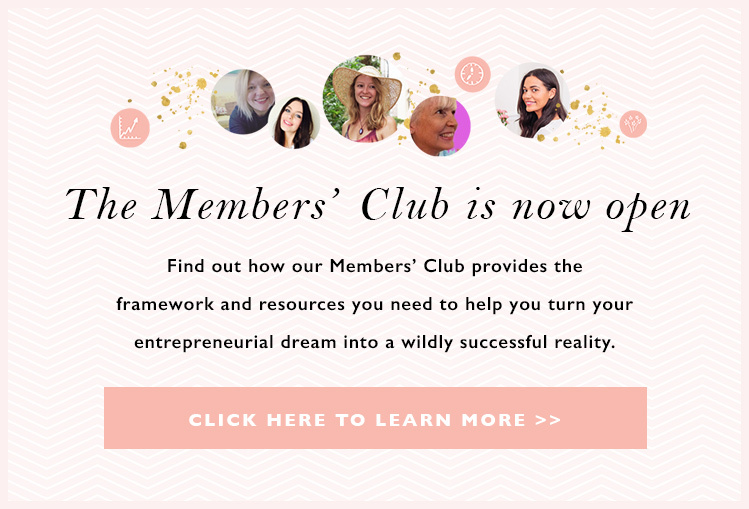 Since I’ve transitioned into teaching other designers, I’ve found the best way to grow my community and find new customers is through joint venture webinars. Each month, I hop on a live webinar with a special guest and we teach designers how to improve one very specific aspect of their business, free of charge. These webinars always attract new people and make a lot of sales, and the fact that my co-host promotes the webinar helps me to reach their audience and vice versa! 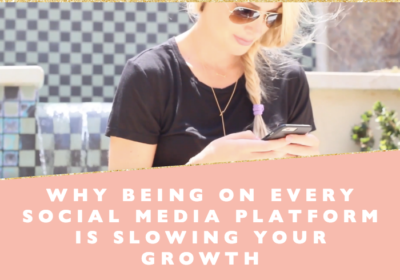 Hopping on live calls with no slides, just your face, really helps you to connect with your audience and build trust on a deeper level than blog posts or emails can. My biggest business struggle happened back when I was a freelance designer. My client tried to disappear before paying the thousands she owed me for her project. It was one of the scariest times in my business because I was left without the money I needed to pay my bills, all because my client had found a full-time job and decided she no longer needed the designs I had created for the business she was originally going to start. Thankfully, I used every tactic under my belt and eventually got the payment from her, but it scared me into thinking that every client from that time onward wouldn’t want to pay me. It took a lot of effort and strength to stop doubting my ability and doubting my clients. I start every day by writing down my top three priorities for the day. I write no more than three because I believe in focus, not overwhelm. I believe that when you start doing more of what works and less of what doesn’t, you finally create the ‘less work, more life’ kind of lifestyle we all crave so much! Create an income plan. I spent my first two years of business hustling a lot but earning a little. 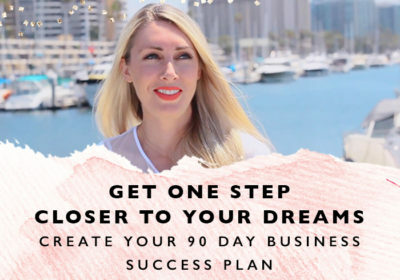 It was only when I created a one-page plan outlining my income goals and how I was going to achieve them that I finally started making real money in my business. An income plan will keep you focused and help you grow your business quickly and efficiently! take a step back, have a break, and come back to the problem with a fresh perspective. stop selling the service that made 90% of my income to focus on a new business venture. It was scar but so rewarding in the end! 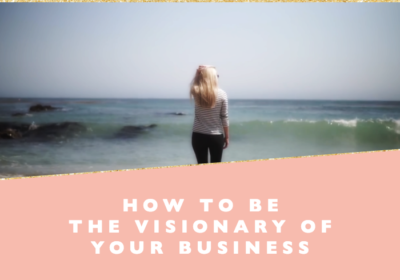 don’t be fooled into thinking you have to create a 20-page business plan filled with jargon. Just create a simple, one-page income plan you can actually understand. Keep your business simple. If you can’t summarize your business model on one page, it’s too complicated.